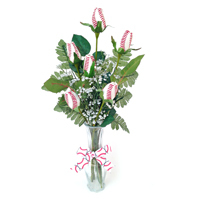 Hit a home run! 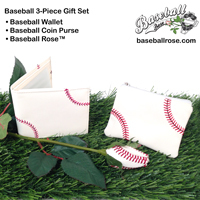 Give a cute and thoughtful New York Yankees Beanie Bear to a special baseball fan. 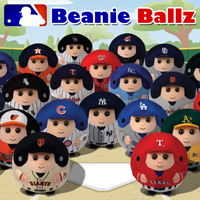 MLB Beanies are manufactured by Ty, well-known for their popular Beanie Babies toys. 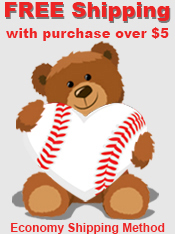 Ty continues their tradition of high quality toys with their new officially licensed MLB Beanie Bears collection. You'll appreciate the attention to detail found on these team-color coordinated bears. 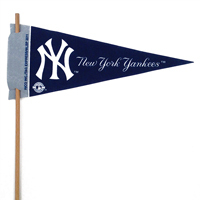 The official New York Yankees team logo is printed on the chest and also on the nose of the bear. 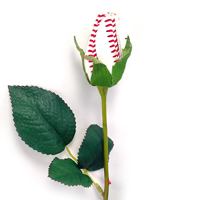 These adorable stuffed toys are guaranteed to bring a smile to any Yankees fan. Our larger 5" Beanie Ballz are cuddly soft and when thrown will always land on their feet.